Did you know ras el hanout literally means ‘top of the shop’? It’s a blend of the best spices in the bazaar. Fortunately, we’ve brought the flavour to you so you don’t have to traipse around the markets yourself. 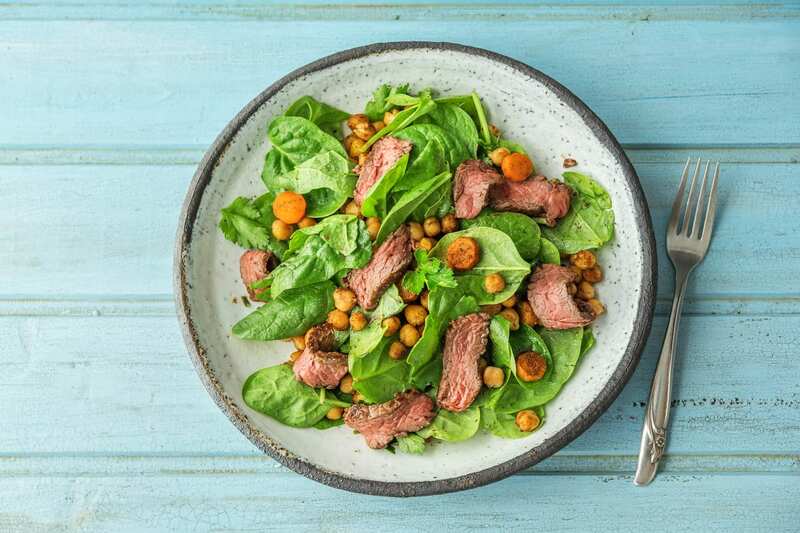 It’s just the thing for this feisty salad with harissa beef and tasty chickpeas. Preheat the oven to 200°C/180°C fan-forced. To prepare the ingredients, peel the carrot and slice it into 5 mm discs. Drain and rinse the chickpeas, wash the baby spinach leaves, and pick the coriander leaves. 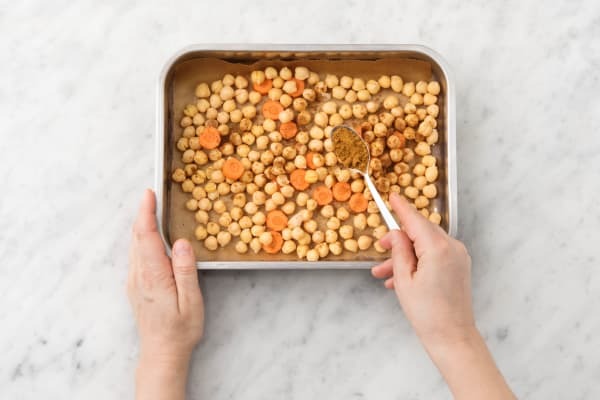 Lay the carrot and chickpeas in a single layer on a lined oven tray. Pour over the ras el hanout spice mix and half the olive oil. Season with salt and pepper. Toss to coat. Cook the carrot and chickpeas in the oven for 15 minutes, or until golden and roasted. 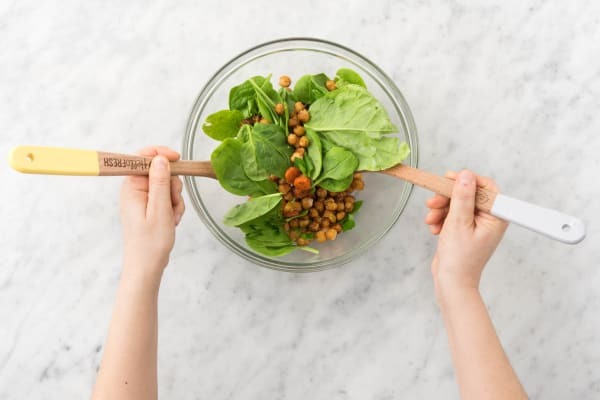 Once cooked combine the carrot, chickpeas, baby spinach leaves and coriander leaves in a medium bowl. Drizzle with a dash of olive oil and the balsamic vinegar and season with salt and pepper. Set aside. Meanwhile, in a separate medium bowl combine the harissa paste and remaining olive oil. 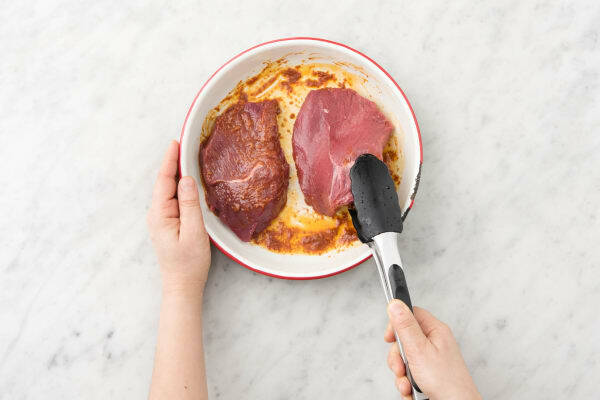 Coat the premium beef rump in the marinade. Five minutes prior to taking the chickpeas out of the oven, heat a medium frying pan over a high heat. 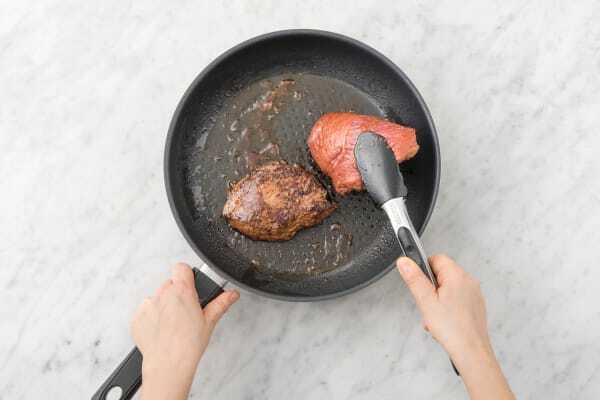 Cook the steaks for 2 minutes on each side for medium rare, or until cooked to your liking. Set aside on a plate covered with foil to rest for 2-3 minutes and then slice into 1 cm thick pieces. Tip: resting your steak will ensure it is tender and juicy. To serve, divide the spiced chickpea salad between plates. Top with the sliced harissa steak. Enjoy!